Utah has been gaining a lot of national attention lately for its startup growth, entrepreneurial spirit and excellent standard of living. 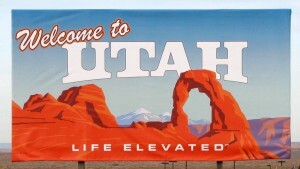 Once again, Utah has made the list for its small business friendly ways. Salt Lake City recently came out as #1 out of 9 Hot Startup Cities That Aren’t San Francisco or New York. Salt Lake and its Utah county neighbor Provo have been noticed for their business savvy and strong local workforce. After reviewing the rest of the list, we’ve found a few more reasons that make Salt Lake City stand out as #1. Lowest unemployment rate: Out of all 9 cities on the list, Salt Lake is the one with the lowest unemployment rate. With the closest option for unemployment trailing .5% behind SLC, it seems like Utah is the place to be if you want a job or want to start your business. Those are pretty good odds. Smallest Metro-Area Population: For big results with a somewhat small town feel, SLC is the place to be. Now 1.1 million isn’t exactly small town, but it nowhere competes with #9 Los Angeles’ 12.9 million either. Utah seems to have the best of both worlds with mid-size urban downtown Salt Lake and rural mountainside views within 30 mins. Not to mention the five national parks within the state. Best For Software and Hardware: with huge tech companies like Adobe and Workday in the neighborhood the software industry is top-notch. Add to that list the 100s of great local startups already making their home here, and your collaboration opportunities are essentially endless. If great inspiration for your new tech startup is what you need, look no further. Highest percentage of foreign language speakers: with tons of returned LDS missionaries from all over the globe attending local universities, Utah has the highest percentage of foreign language speakers in the whole country. Thinking about expanding your business into a new country? Want to offer your services in several different languages? Or amp up your Millennial marketing with a bilingual campaign? Utah has you covered. Investor Potential: Not mentioned in the Entrepreneur.com list, it’s worth noting here. Utah has one of the highest dollar per deal averages for expanding businesses seeking venture capital. Serious investors are mingling with serious businessmen in Utah, and results are sometimes staggering. Rock Bottom Real Estate Costs: When you’re investing your own hard-earned money into a new venture, every cent counts. So imagine renting a commercial space in a thriving downtown scene for 70% less than the same space in Manhattan, or less than half the cost of a storefront in Silicon Valley. Salt Lake City can provide that. And branching out along the Wasatch Front north to Davis County or south to Lehi, Provo and Orem can help you find an even cheaper place to plant your headquarters. Family Friendly Everything: Well almost everything is family friendly in Utah. With tons of options for family friendly activities such as the zoo, hiking or all of the public parks as well as awesome school districts and a wholesome family attitude by most of the state. Now this isn’t a selling point for everyone, but Salt Lake and surrounding areas are a lot more family friendly for those of you looking than downtown LA. How does this all help you as a business owner? Even if you aren’t headquartered in Salt Lake, this list makes a compelling argument for expansion into the area. And while Entrepreneur Magazine is highlighting the region for tech startups, most of these perks apply universally to businesses in any industry. There are lots of other reasons why Salt Lake makes an excellent choice for startups to call home, and we can help you get your feet wet in our backyard. With all the other awesome big cities listed, we as a Utah business are honored to see our hometown make the list. We think Utah is pretty great, come check us out! To read the original entrepreneur.com article, click here.